Friend and fellow member of Seattle IPMS, Jim Bates (A Scale Canadian), taunted me horribly during our last chapter meeting with his new Arma Hobby Hurricane. Just as I was about to break, he offered the use of his “Expert Set Hurricane” kit for this review and another kit (styrene only) for me to build. Jim, I owe ya one: Many thanks! The Hawker Hurricane is a British single-seat fighter of the 1930s–40s designed and predominantly built by Hawker Aircraft Ltd. for service with the Royal Air Force (RAF). 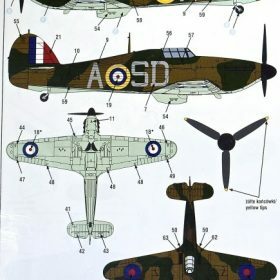 The Hurricane was overshadowed in the public consciousness by the Spitfire’s role during Battle of Britain despite the Hurricane having been responsible for ~60 percent of the losses sustained by the Luftwaffe in the engagement and went on to fight in all the major theaters of the Second World War. The Hurricane originated from discussions during the early 1930s between RAF officials and British aircraft designer Sir Sydney Camm on the topic of a proposed monoplane derivative of the Hawker Fury biplane. There was an institutional preference at the time for biplanes and a lack of interest from the Air Ministry, but Hawker chose to continue refining their monoplane proposal, which resulted in the incorporation of several innovations which became critical to wartime fighter aircraft, including a retractable undercarriage and a more powerful engine in the form of the newly developed Rolls-Royce Merlin. The Air Ministry placed an order for Hawker’s Interceptor Monoplane in late 1934, and the prototype Hurricane K5083 performed its maiden flight on 6 November 1935. In June 1936, the Hurricane was ordered into production by the Air Ministry and entered squadron service on December 25, 1937. The manufacture and maintenance of the aircraft was eased by its use of conventional construction methods which, enabled squadrons to perform many major repairs themselves without external support. 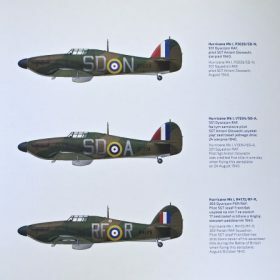 The Hurricane was rapidly procured prior to the outbreak of the Second World War in September 1939 by which time the RAF had 18 Hurricane-equipped squadrons in service. The aircraft was relied upon to defend against the numerous and varied German aircraft operated by the Luftwaffe, including dog fighting with the capable Messerschmitt Bf 109 in multiple theaters of action. The Hurricane developed through several versions, as bomber-interceptor, fighter-bomber, and ground support aircraft in addition to fighters. 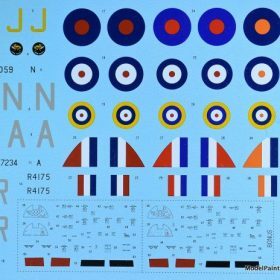 Versions designed for the Royal Navy were popularly known as the Sea Hurricane, with modifications enabling their operation from ships. Some were converted to be used as catapult-launched convoy escorts. By the end of production in July 1944, 14,487 Hurricanes had been completed in Britain and Canada. 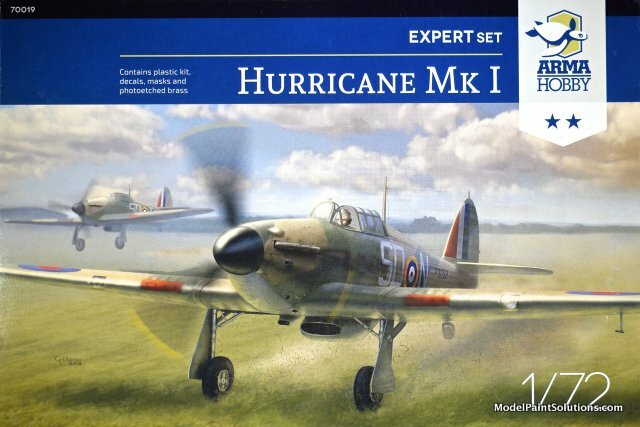 There were many marks of the Hurricane but just those pertinent to the new Arma Hurricane Mk.I are listed below. First production version, with fabric-covered wings, a wooden two-bladed, fixed-pitch propeller (first 435) or three blade two -pitch propeller, powered by the 1,030 hp (770 kW) Rolls-Royce Merlin Mk II (first 364) or III engines and armed with eight .303 in (7.7 mm) Browning machine guns. Produced between 1937 and 1939. A revised Hurricane Mk I series built with a de Havilland or Rotol constant speed metal propeller (from mid 1940), metal-covered wings, armour and other improvements. 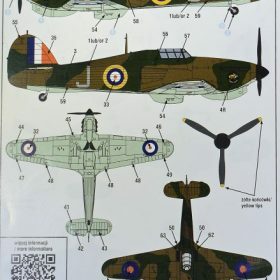 A total of 4,200 Mark I’s were built, 1,924 by Hawker, 1,850 by Gloster Aircraft Company and 426 by Canadian Car and Foundry between December 1937 and July 1941. The Canadian Car and Foundry Hurricanes were shipped to England to be fitted with engines. The kit comes in an end-opening box adorned with some rather uninspiring box art. 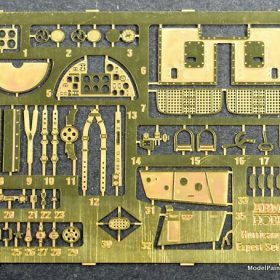 Inside are two sprues carrying 57 crisply molded parts. 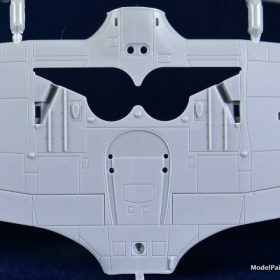 The fidelity of detail is amazing especially the fabric effect on the control surfaces and sides of the fuselage halves. 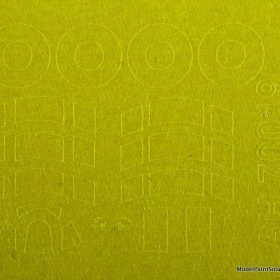 All of the exterior surfaces of the model have a smooth, semi-matte surface that’s perfect for a coat of primer. 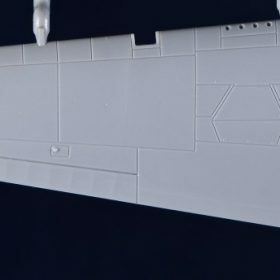 The kit’s engineering is very conventional with the exception that both the horizontal and vertical stabilizers are single, separate pieces obviating the need to fill and blend the usual seems during assembly: very nice. 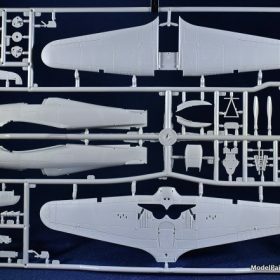 Construction begins with the amazingly detailed main wheel wells that will look great under paint and a dark wash. With the wheel wells complete, the upper wing halves are added to the single-piece, full-span lower wing piece completing the assembly. 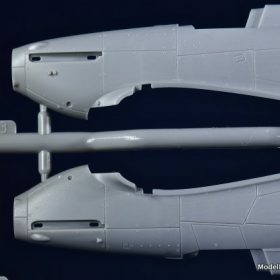 Next in sequence is the cockpit and the folks at Arma Hobby did a commendable job replicating the complex tube frame of the Hurricane in 1/72 scale. The seat, rudder pedals, and yoke are crisply molded. 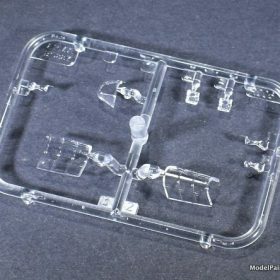 The cockpit is nicely detailed right out of the box but the addition of the PE parts will be a great enhancement. 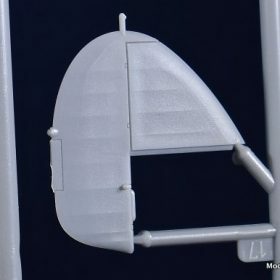 The assembled cockpit is captured between left and right fuselage halves, which is then affixed to the top of the assembled wing. 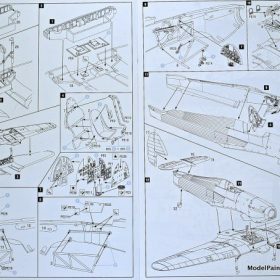 Of note are the single piece horizontal stabilizer, elevator, and vertical stabilizer/rudder, which obviates the need to assemble each from multiple parts and lessens the work required to blend these parts when assembled. This is some really nice engineering here that will make for a quick and painless build: well done, Arma! The landing gear (main and tail) and gear doors are just beautifully done. 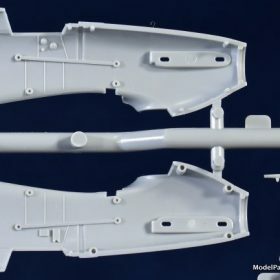 With a little bit of care during clean up, the crisply molded main gear legs and struts will look awesome under a wash. The detail and molding of the main gear doors is some of the best I’ve seen. 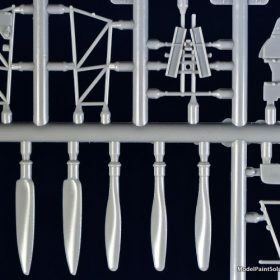 These assemblies on 1/1 scale Hurricanes are actually pretty complicated and, once again, Arma must be commended for replicating them this beautifully in 1/72 scale. 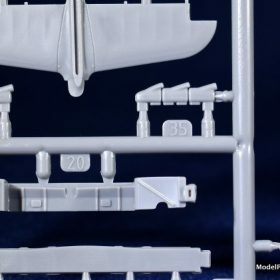 Inclusion of nicely molded De Havilland and Rotol propeller assemblies is an awesome addition to the kit that will increase the accuracy of the completed model and provide some great extra parts for the spares box. 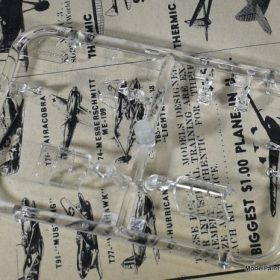 The crystal-clear canopy parts are beautifully molded with framing that is crisp and scale appropriate. Two main canopies are provided allowing the builder to pose the pilot’s office open or closed: nice. 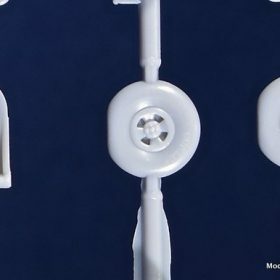 The injected parts of this kit are top quality. The fit of the major components is just as beautiful as are the moldings. The replication of the fabric-covered control surfaces and the cowling fasteners is superlative. 1) Hurricane Mk.I, P3059/SD-N, 501 Squadron RAF, August 1940. 2) Hurricane Mk.I, V7234/SD-A, 501 Squadron RAF, August 1940. 3) Hurricane Mk.I, R4175/RF-R, 303 Polish/RAF Squadron RAF, October 1940. 4) Hurricane Mk.I Trop, 284/J, 3 Squadron SAAF, Kenya 1941. This is a beautiful kit. The overall level of detail is excellent. 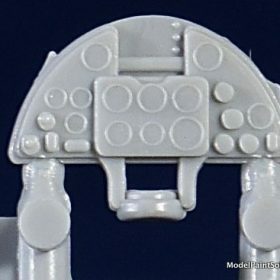 The fabric-covered control surfaces and cowling fasteners are some of the best I’ve seen in this scale. 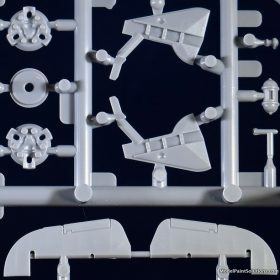 When you combine that with the crystal-clear canopy parts (open and closed), PE parts, masks, and beautiful decal sheet, this kit is an awesome bargain. Highly Recommended! Kit provided for review through the kind and courteous heart of Jim Bates, esquire. Text and images copyright © 2019 by Model Paint Solutions.